Desmond Kon Zhicheng-Mingdé is the author of an epistolary novel, five hybrid works, and nine poetry collections. 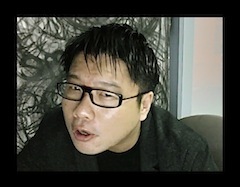 The founding editor of Squircle Line Press, he has edited more than twenty books and co-produced three audio books, several pro bono for non-profit organizations including Sok Sabay Cambodia, Riding for the Disabled Association, the National Volunteer & Philanthropy Centre, and SAGE Counselling Centre. These titles span the genres of ethnography, journalism, creative writing, and corporate literature. Trained in book publishing at Stanford University, Desmond studied sociology and mass communication at the National University of Singapore, and later received his theology masters (world religions) from Harvard University and fine arts masters (creative writing) from the University of Notre Dame. A former entertainment journalist with 8 Days, he has travelled to Australia, France, Hong Kong and Spain for his stories, which have included features on Madonna, Björk and Morgan Freeman, culminating in the authorship of the limited edition Top Ten TCS Stars for Caldecott Publishing. With early freelance illustration for The Straits Times, he has returned to drawing and design, with his Madding Mission Series of stationery. His online novelty store, ECRITUREartefacts, creates literary curiosities, which include glassware, book totes, and laptop cases. As a consultant, Desmond’s editorial projects have seen him collaborating with authors and artists from an international community spanning Argentina, Austria, Belgium, Brazil, Bulgaria, Chile, China, Colombia, Czech Republic, Finland, Georgia, Germany, Hungary, Italy, Korea, Latvia, Lithuania, Malta, Mexico, New Zealand, Norway, Philippines, Poland, Russia, Serbia, Slovenia, South Africa, Switzerland, Taiwan, Tibet, Turkey, Ukraine, and Vietnam, among other nations. An interdisciplinary artist, Desmond also works in clay. Through his Potter Poetics Collection, he has designed and sculpted ceramic works to commemorate Albert Camus’ 50th Anniversary, the Dalai Lama’s 50th Year of Exile, Gerard Manley Hopkins’ 120th Anniversary, Walter Benjamin’s 70th Anniversary, Matteo Ricci’s 400th Anniversary, Marguerite Porete’s 700th Anniversary, Edgar Allan Poe’s Bicentennial, Simone Weil’s Birth Centennial, Swami Abhishiktananda’s Birth Centennial, Thomas Merton’s 40th Anniversary, Jack Kerouac’s 40th Anniversary, Cave Canem’s 10 Years of Service to African American Poets, Grolier Poetry Bookshop’s 80 Years of Service as the Oldest Continuous Poetry Bookstore in the US, and Poet Lore’s 120th Anniversary as the Oldest Continuously Published Poetry Magazine in the US, among other commemorative pieces. His ceramic works are housed in museums and private collections in India, the Netherlands, the United Kingdom, and the United States. Writing under several heteronyms, Desmond divides his time between his art and teaching creative writing, his poetry and prose having placed in literary competitions in Australia, Canada, England, France, Greece, Ireland, Israel, Nigeria, Pakistan, Philippines, Scotland, Singapore, and the United States. Among his honoraria are appointments as juror for literary competitions/projects – these include Singapore National Poetry Competition, Singapore Poetry Slam, National Youth Slam League, Creative Arts Programme Portfolio Selection, Poetry on Platforms, Budding Writers Project, and Writing the City Competitions – organized by Marshall Cavendish, Word Forward, Poetry Festival Singapore, National Library Board, Ministry of Education, and The British Council.